For this 'Ten Years On' post we take a look back at "Dead Silence". In 2004 James Wan and Leigh Whannell burst onto the Horror scene with the film "SAW" and made a huge impression, fans were left wondering what they'd do next. 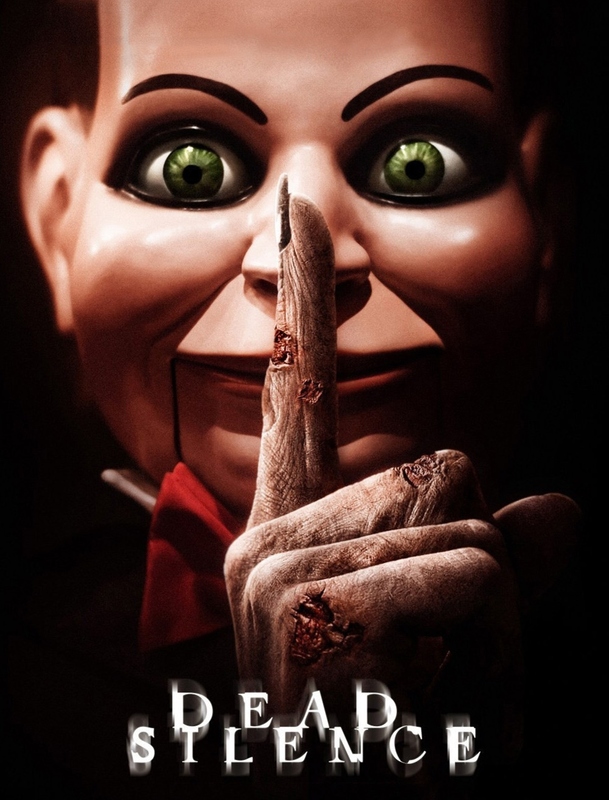 It may have took 3 years but they returned with the film "Dead Silence" and there was a sense of anticipation, what would these guys follow up such a huge hit with? Would it live upto the hype and expectations? Well as we now know the film was a box office failure, though I'm still not sure why as I thought it was a thoroughly enjoyable film with a great twist. Though there are reasons why it wasn't the success it should have been. Leigh Whannell has stated that there was a lot of studio interference and was seriously unhappy with the finished product. Despite this it has gained a small following though it can be divisive film amongst fans. 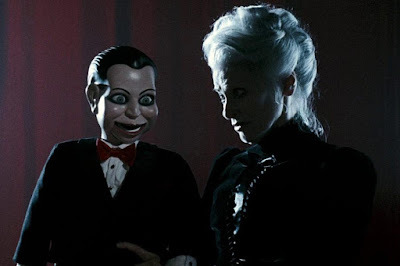 I'd love to have seen what Wan and Whannell had brought us without the interference and how different it was to the actual finished product, though you can see the start of the style of future films such as "Insidious". I think this is a great film for people who are just starting to get into the genre, a decent starter film. Ten years on it's still a decent watch and that 'Mary Shaw' poem is still a favourite of mine.